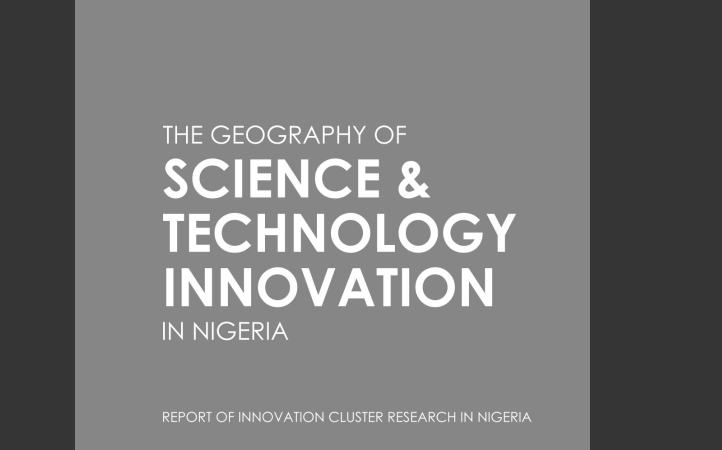 I am not sure if you read this ebook – The Geography of Science &Technology Innovation Clusters in Nigeria. It was a project my non-profit, African Institution of Technology, conducted on innovation clusters in Nigeria. The Tony Elumelu Foundation funded it, generously. Sponsored by the Tony Elumelu Foundation, the Nigeria Innovation Cluster Mapping project is poised to uncover the pockets of industry clusters where companies with similar attributes co-exist in Nigeria. The research will provide government and business community with data and tools for understanding what drives clustering, in every region of Nigeria, and how policy can boost its efficiency. This project will help take guesswork out of innovation policymaking by assisting government to know where innovations are occurring, their forms, and how to nurture them. Globally, data shows that clusters play major roles in regional job growth, wages and formation of new companies. It is now strategic to develop ways to support clusters because of their impacts on sustainable economic growth. This project will help find an objective, quantitative measure to understand the critical drivers of regional competitiveness with consistently based statistical methods that will help improve the welfare of Nigerians. After this project, I developed a higher level of confidence on Nigerians. I saw across cities and communities that Nigerians are just as inventive as any other group of people I have met. We met engineers who refined crude oil by building local refineries. We noticed that the “refineries” were usually built between high elevations to prevent the Nigerian Navy in seeing the production smokes. We met artisans with the minds of Thomas Edison in Aba, Kano and Lagos. We meet Nigerians at different levels of making things. We accumulated data of more than 8,500 entities. It was comprehensive and detailed. But one thing was evident – Nigeria is simply an inventive society. We saw inventions – many of them– but minimal innovations. It is innovation that brings prosperity; invention is largely an idea, innovation is commercialized idea. The Geography of S&T Innovation Clusters in Nigeria. The Nigerian Innovative Clusters Project aims to uncover the pockets of industry clusters where companies with similar attributes (structure, location, interest, sector) in Nigeria co-exist. The African Institution of Technology (AFRIT) headed by Dr. Ndubuisi Ekekwe developed and conducted the research for the Clusters Project. In this cast, I discuss some of the big challenges of inventive societies characterized by so many ideas but little products and services to show for them. I explain why nations must transition into innovative societies where solutions are provided and where human welfare accelerates.